Cinque Terre, the highlight of our trip! Cinque Terre has been on my 'Bucket List' for a number of years. We were offered a bargain five week Mediterranean cruise for October - November last year. So we decided we would spend a few days in Cinque Terre before embarking on the cruise. 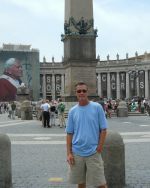 We flew into Milan, and the next day took the train to Monterosso, where we stayed at the Hotel Margherita.. This was a lovely, newly refurbished hotel in the main street, and a great base to explore the region. Unfortunately due to flooding rains just prior to our arrival, all the walking trails were closed. However, we used the train to get to the other villages, and were able to explore them. I have been to Italy three times and my wife twice, and we both love it and can never get enough. We both thoroughly enjoyed the Cinque Terre and are planning to return and stay even longer so we can walk all the trails. All the villages have their own charms and are simply stunning visually, as is the surrounding countryside and seaside vistas. Being there in October had the added advantage that there were fewer crowds and temperatures pleasant. 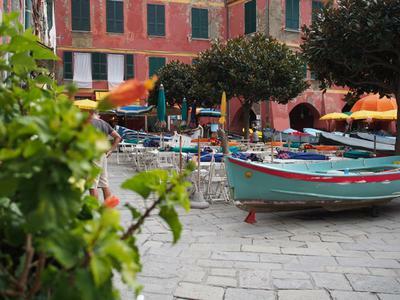 Although our cruise took us to many places, including the Greek Islands, Turkey and Spain, we rate the four days in the Cinque Terre as the highlight of our seven weeks in Europe, and are recommending it to all our friends. 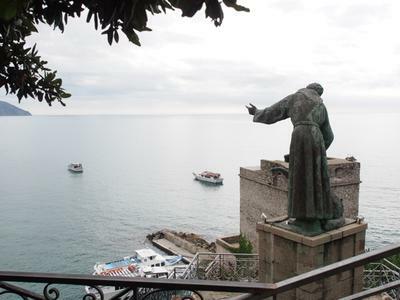 Andrew's reply: I'm so pleased that, despite the walking trails being closed, you weren't at all disappointed by your visit to the Cinque Terre. One good thing is that even if the walks are closed the train that runs up and down between the towns is fabulous, so you don't really miss that much. Anyway the walks will give you a great excuse to have to return again. 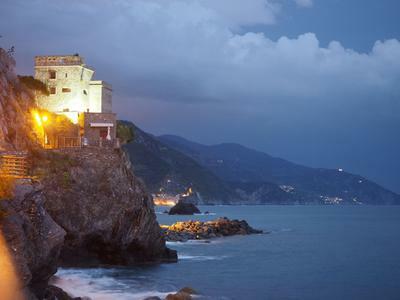 There's so much to see along this whole coast as well in addition to the Cinque Terre and we've a few other towns that are well worth seeing in our Liguria guide. Hopefully they'll give you a few more ideas too. Lastly, thank you for the photos, you really take a great photo. Why not share a few on our Facebook page? I could start an album for you like these ones in our Facebook album section. Join in and write your own page! It's easy to do. How? 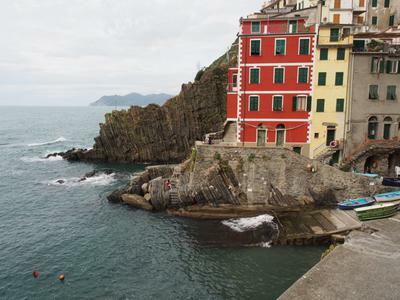 Simply click here to return to Visited the Cinque Terre.